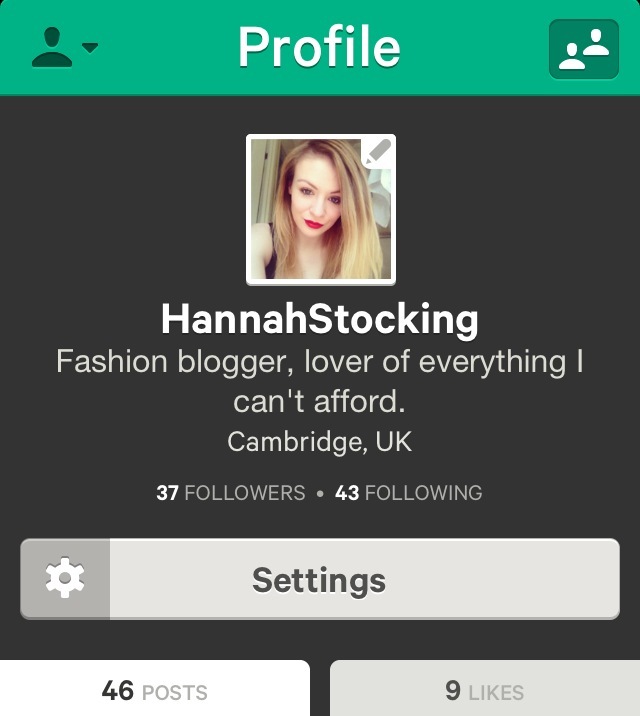 This week I joined Vine, a social networking site/app that’s a cross between Keek and Instagram… But slightly more addictive, perhaps. It allows you to create short 6-second clips of anything, allowing you to pause and edit as you go along… I’m making it sound a helluva lot more complicated than it actually is. Basically Film something, stop, film something, play. Its easy and simple and ever-so-addictive. If you’re already on there, follow me! And if you’re not on Vine, why??? Download the app, for iPhone and Android now! This entry was tagged addictive, android, app, blog, blogging, edit, fashion, film, hannah stocking, hannah wintour, instagram, iphone, keek, network, networking, social, style, video, vine, vlog. Bookmark the permalink.